You will also hear Guy also share his latest interests and strong opinions on the most pressing social topics of the day–including the Apple-DOJ standoff. 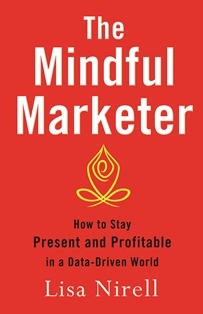 Over the years, site Guy has endorsed my books, including “The Mindful Marketer” and “EnergizeGrowth NOW: The Marketing Guide to a Wealthy Company.”. Guy has inspired my work for over 13 years, and is one of a handful of leaders and experts who inspire my work. Guy is one of the 6-7 leaders who have greatly inspired my work. As I enter my 15th year in business, I still refer back to his lessons in The Art of the Start. He incorporated some of my own sales and marketing war stories into that book–one of 13 he’s written. Who are the avatars in your life? I’d love to hear from you–share your comments below.